The Fluke 576 non-contact thermometer is an ideal professional diagnostic tool for maintenance professionals requiring the most accurate temperature readings at all distances. 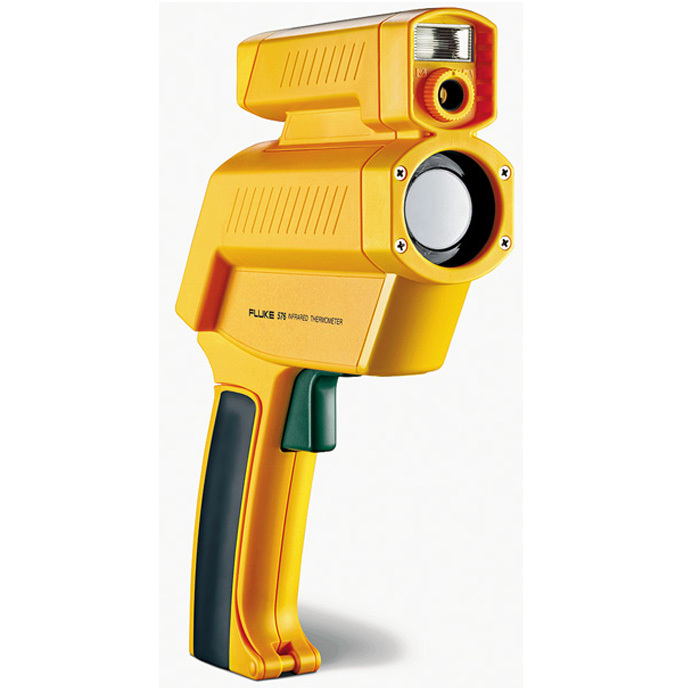 The Fluke 576 infrared (IR) measures surface temperatures, helping to quickly locate lubrication problems, overloads, short-circuits or misaligned and overheated equipment, reducing work and follow-up time, and improving performance. From close-up electrical connections, to distant room balancing checks, it can take IR temperature measurements with ease. Predictive maintenance professionals requiring analysis and documentation can use the 100-point data logging and digital photographs with the included software for graphing and analysis for follow-up reporting and documentation.